Powerstudio favourite, Paloma Faith turned up at the British Academy Film Awards in London on Sunday sporting a look reminiscent of an old school Hollywood star. The Londoner was wearing a fantastic silver gown, dramatic but tasteful make up and vintage accessories, her slick eyeliner, bright red lipstick and dark brow setting off the appearance. Whenever Paloma recorded in our London Recording Studio in Chelsea, she looked every bit the star and we are delighted her career has taken off in such a big way but we shouldn’t be surprised – a big voice, big personality, big hits and big production equals success! 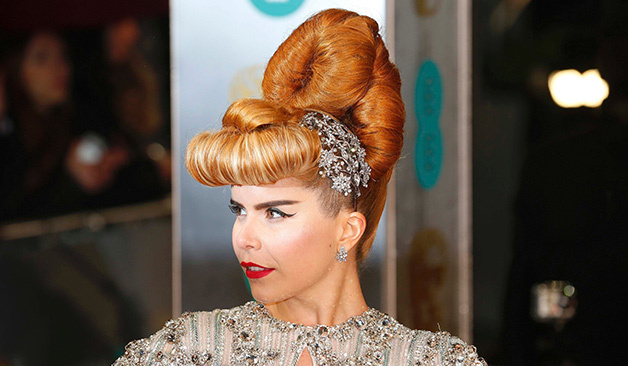 What do you think of Paloma’s look? Style is an all important aspect of an artist’s saleability and something Powerstudio emphasises in its London Artist Development package.